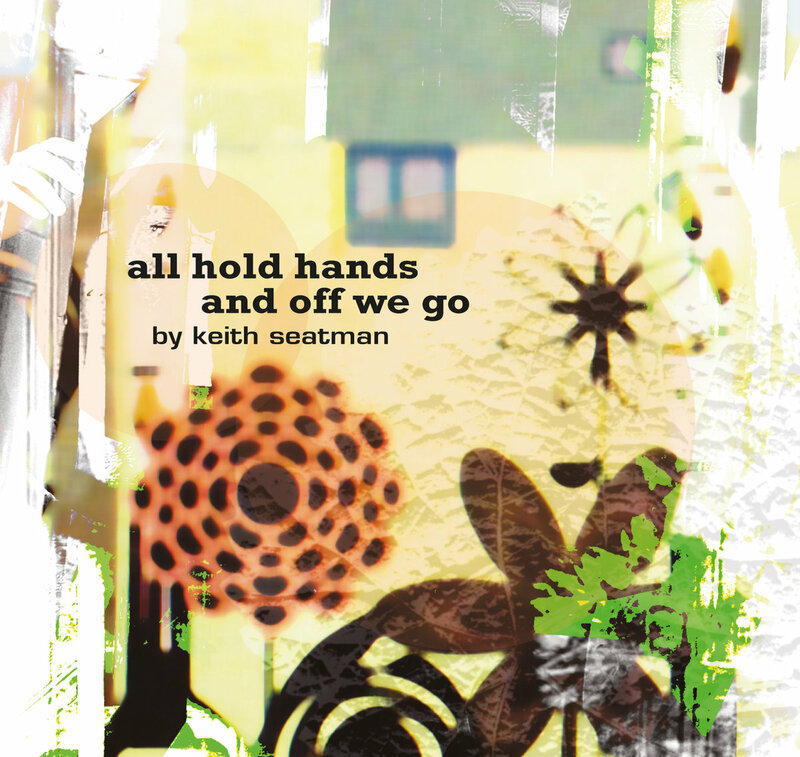 We’ve heard Keith Seatman a couple of times now through his contributions to compilations issued by A Year In The Country, where I have been a bit over-critical in my assessment, but I must say I’m warming more to Mr Seatman thanks to this set called All Hold Hands and Off We Go (K.S. AUDIO ksa 006). 11 pieces, mostly atmospheric instrumentals but with some songs with lyrics and singing added by Douglas E Powell. I think it’s fair to say Seatman is quite close to the Ghost Box “school” (indeed they even sell his wares through the Ghost Box Records Guests Shop), and some similar characteristics crop up here – the love of innocent-seeming melodies that might conceal a darker truth, the fondness for reverb and echo, distortion, sampled voice snippets, and an intangible vibe that is intended to evoke everything from a lost golden age of England to a futuristic science-fiction land of the imagination. And like Ghost Box, we can’t shake off the sense that much of Seatman’s culture has been derived from, or shaped by, what he remembers from hearing and seeing on the television. All Hold Hands and Off We Go enchants through its persistent mood of seeing all the world through these TV-tinted lenses, and almost every track has a wobbly off-centre dreamlike quality, one which Seatman would probably like to spill over into more nightmarish terrain. His use of synthesisers, drum machines, and overall sound design is extremely skillful, but I still find myself (as before with those AYITC comps) vaguely unsatisfied by his lack of compositional abilities, by which I mean his tunes are unfinished, and there is virtually no structure to anything he does – nothing seems complete, and each track is a fleeting snapshot of beauty. But hey, even a fleeting snapshot of beauty is more than most of us can hope for, and that counts for a lot. So don’t let my minor grumbles put you off, as he’s got a strong cult following now, including approbation from Wyrd Britain, Shindig, The Wire, The Active Listener, and others. From 13th March 2017.